UVA Drama to Open 2018-2019 Seaason with Sarah DeLappe’s 2016 Pulitzer-Prize Finalist Play THE WOLVES | Department of Drama, U.Va. The UVA Department of Drama will launch its 2018-2019 season with Sarah DeLappe’s award-winning play The Wolves, which will open on October 18 at the Ruth Caplin Theatre. 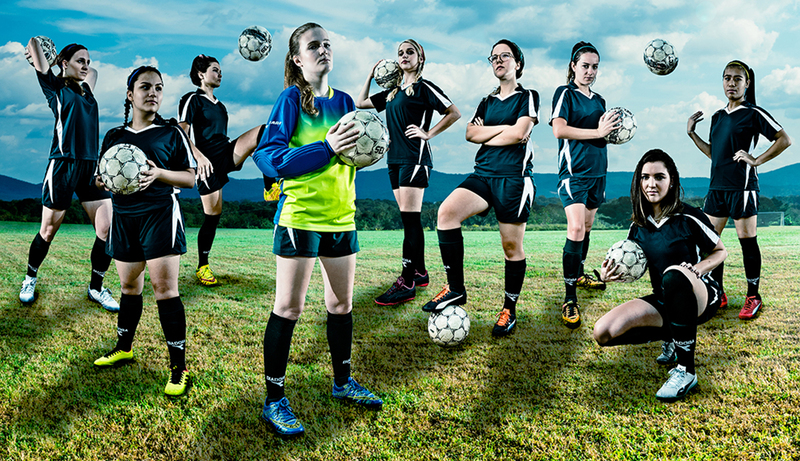 The Wolves, directed by UVA alumna Amanda McRaven, plays at the Ruth Caplin Theatre from October 18-20 and October 24-27 at 8pm and October 20 at 2pm. Ticket prices for The Wolves are $14 for adults, $12 for seniors, UVA faculty and staff and alumni association members, and $8 for students. Tickets are available online at www.artsboxoffice.virginia.edu, by calling 434-924-3376, or in-person from noon until 5:00 p.m. Monday through Friday at the UVA Arts Box Office, located in the lobby of the Drama building. Amanda McRaven is a Los Angeles-based graduate of the University of Virginia’s Drama Department, a member of the Stage Directors and Choreographers Society who is known for her acclaimed productions around the country. She has directed works in Los Angeles, San Francisco, New York, and Virginia. McRaven has also assisted some of the leading directors in theatre today, including Dominique Serrand on Red Noses at The Actors Gang; Daniel Sullivan on Hamlet at South Coast Repertory Theatre; and Bill Rauch on Clean House at Lincoln Center Theater. She regularly directs and creates in the Los Angeles area, including making physical ensemble theater with her company, Fugitive Kind. She also helmed The Voice Project, a writing and performance ensemble for female inmates in Troy, Virginia.